Hypertension, which is also known as high blood pressure, affects one in three Americans, making it very common. It's also a dangerous condition and contributes to hundreds of thousands of deaths each year in the United States. But there is some good news -- it's a reversible condition. 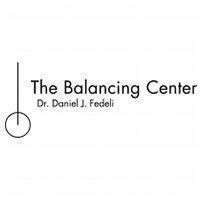 At The Balancing Center, Daniel Fedeli, DC, PC, and his team work with their patients in the Gold Coast area of Chicago to reverse their high blood pressure numbers, helping them lead healthier lives as a result. To learn more, call or use the online booking tool to schedule a visit. Your blood pressure is the force of your blood against the walls of your blood vessels. Hypertension means that this force is consistently too high, compromising both your blood vessels and your heart, as they work harder to deliver blood throughout your body. Viewed in the proper light, hypertension can be considered a blessing. There are few things in life that afford you as much warning as high blood pressure does, especially since there’s enough time to correct it. With a clear picture of your overall health, your doctor turns to several treatments and techniques that work to lower your blood pressure and elevate your health at the same time. These treatments include lifestyle recommendations and nutritional counseling, as well as advanced techniques that balance your body’s functions, allowing each of your systems, including your cardiovascular system, to perform at its best. One of the biggest problems when it comes to hypertension is stress, both mental and physical. Using these techniques, your doctors tackle your hypertension from every angle, reducing your stress and freeing up your body for optimal function. Your doctor may also recommend exercise regimens to benefit your health, including yoga. If you have hypertension, the sooner you reverse your numbers, the better. Call The Balancing Center, or use the online booking tool to schedule a consultation to get started.